Kawasaki has finally stepped up to the plate and answered our demands. 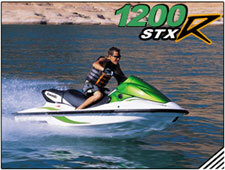 Kawasaki has been relying on their STX platform for far too many years. They had not introduced a new Musclecraft since 1999! There had been quiet talk, rumors and just plain gossip for the past few years that Kawasaki was working on a new ski that would be supercharged and perhaps have a new hull; well this is no longer a rumor. 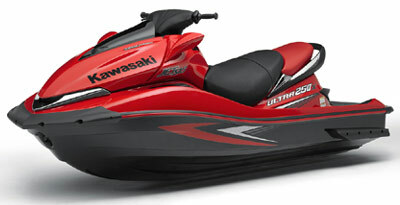 For 2007 Kawasaki has introduced a brand new hull with a familiar name and engine.. 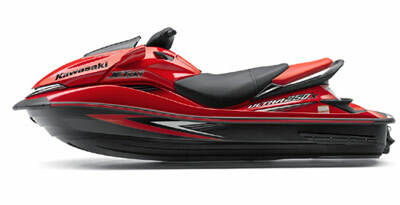 Introducing the 2007 Kawasaki Jetski Ultra 250X. 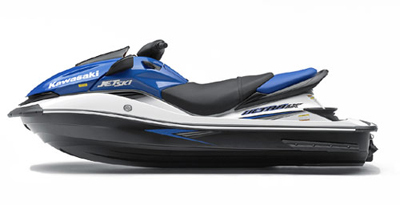 The Ultra 250X will carry the proven 1500 CC 4-stroke powerplant that has been powering the STX15F now for several years but with some slight modifications. Oh yea, did we mention it also has a power adder in the form of a roots style intercooled supercharger. 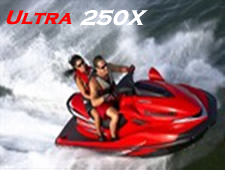 The roots style supercharger will add great acceleration that you do not see from a centrifugal supercharger or a turbo; this is a big plus in the watercraft world. The other big news is the new hull design. Kawasaki did their homework and used information from their winning race crafts to design a hull that will stand above the rest. They also redesigned the pump which is now a 155 mm 8 vane pump. The future looks very bright for Kawasaki’s newest addition and we here at Ultra150/250.com will be right here to keep you posted. 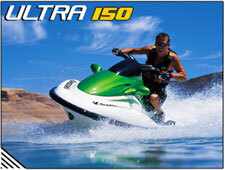 In the next few weeks we will be upgrading Ultra150.com and bringing a whole new Ultra250.com site to light.. Be sure to visit our forums daily to keep posted on new products and performance updates of the new Kawasaki Ultra 250X..